Valentine's Day always feels like a long way off (I mean, it's still January!!) but now is actually the time to start thinking about it. If you live in a big city and want to go out to dinner, you're going to want to start thinking about getting a reservation now. Seriously, I have had problems in the past looking a week or two in advance! I don't like to do anything too crazy for Valentine's Day (and heck, this year we may be spending it with a brand new baby!) so I usually pick a lower key restaurant near our house so we don't have to go too far in the inevitably terrible Chicago weather and so that we don't have to deal with overpriced prix fixe menus. We've done the cooking something together at home, but since Jeff and I are both not the most relaxed chefs (I usually have forgotten to do some important prep work ahead of time and am scrambling, and Jeff is usually so focused on following the directions he won't speak!) so going out is usually more relaxing and romantic. 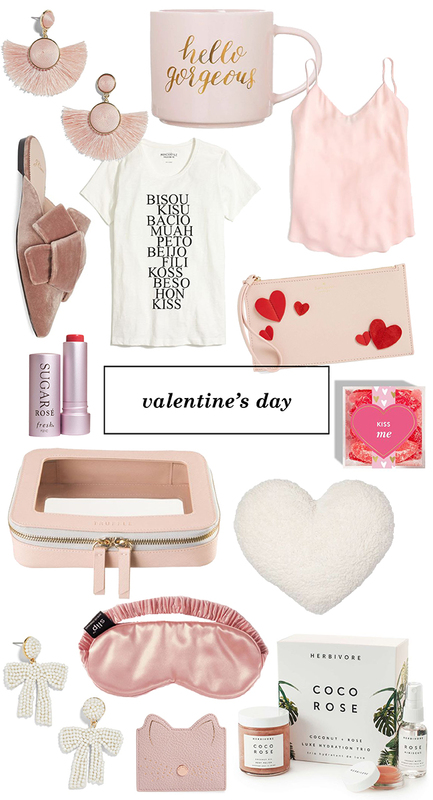 If you've got Valentine's Day on the brain already, here are a few cute things I found!